Unfortunately for Renzi, who hopes to regain the leadership of the center-left Partito Democratico (PD, Democratic Party) and lead it to victory in the next Italian election, no one seems to be listening to him. Even worse, it is Renzi’s my-way-or-the-highway leadership style and his continued insistence on personally leading the Italian left in the next election that has forced such a severe schism inside a party that has struggled since its foundation a decade ago to bridge a divide that spans Catholic social conservatives to outright democratic socialists. In the span of just 10 days, Renzi’s heavy-handed approach — designed to entrench him as the Democratic Party leader — has instead launched a fresh leadership contest (with yet another preliminary struggle over the timing of the contest). More ominously, a breakaway faction split from the party over the weekend to form a new group, the Movimento Democratico e Progressista (MDP, Democratic and Progressive Movement) that could drain the Democratic Party of crucial support in the next election. The new group already claims nearly 40 deputies in the lower house of the Italian parliament and 20 senators in the upper house. There’s still time for a rapprochement. The faction-ridden Democrats have always struggled with unity, but there’s a real chance that the centrosinistra‘s continued inability to unite in 2017 (and Renzi’s inability to win over skeptics) could tilt Italy’s next government to anti-EU populists. With the traditional Italian centrodestra (‘center-right’) divided and weak in the post-Berlusconi era, unless the broad centrosinistra (‘center-left’) finds a way to heal the wounds, the infighting could allow the anti-austerity, eurosceptic and increasingly illiberal protest movement, the Movimento 5 Stelle (M5S, the Five Star Movement), to win the next Italian elections. Those elections must be held before May 2018. Renzi, the 42-year-old former Florence mayor, resigned as prime minister in December after he failed to convince voters to support constitutional reforms in a nation-wide referendum. Former foreign minister Paolo Gentiloni is currently serving as a caretaker prime minister in Renzi’s stead. Renzi came to power as prime minister in February 2014, shortly after winning the 2013 Democratic Party leadership contest, turning out the more technocratic Enrico Letta, also a PD member, who had crafted a coalition government in the Senato (Senate), the upper house of the Italian parliament, where no single party holds a majority. Shortly after Renzi called for a fresh leadership election in mid-February, two figures stepped up to challenge him — the 48-year-old justice minister Andrea Orlando, a rising star on the Democratic Party’s left and a former environmental minister, and the 57-year-old Michele Emiliano, regional president of Puglia since 2015. 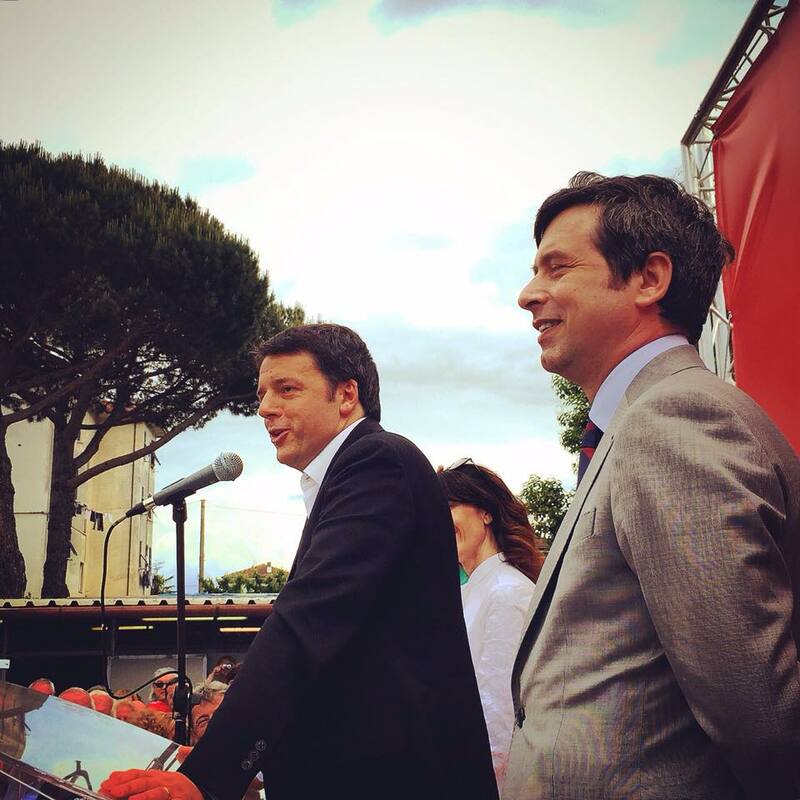 Orlando, in announcing his candidacy, all but slammed Renzi for an arrogant leadership style and a policy shift to the right that has ignored the plight of Italy’s poor. For now, at least, neither Orlando nor Emiliano seem to have captured enough support to present a serious challenge to Renzi. The leadership vote may be held as early as April 30, though the Orlando and Emiliano camps believe that it should be delayed until the summer to give their candidacies a chance against Renzi. For all of Renzi’s deep faults and failures, neither Orlando nor Emiliano nor anyone else in Italian politics today matches Renzi’s combination of charisma, energy and commitment to reform. The only conceivable possibility is 43-year-old Federica Mogherini, who served briefly as Renzi’s foreign minister and who is now serving in Brussels as the EU high representative for foreign affairs and security policy. Renzi’s larger problem is that his approach has now pushed a key set of incredulous Italian leftists out of the party. The new MDP leaders include Enrico Rossi, the regional president of Tuscany (Renzi’s home region) and Roberto Speranza, the former Democratic leader in the Camerati dei Deputati (Chamber of Deputies), the lower house of the Italian parliament. Moreover, its supporters include Massimo D’Alema, a longtime fixture in the Democratic Party, and Pier Luigi Bersani, who led the Democratic Party from 2009 to 2013, are two of the most well-known figures of the Italian left. Emiliano, who is sympathetic to the MDP dissidents, might join their ranks if he believes the timing and other aspects of the Democratic leadership contest are rigged in Renzi’s favor. At the same time, various factions of the still-further-left joined forces last month to form another new vehicle, Sinistra Italiana (SI, Italian Left), which brings together followers of Nichy Vendola, the former socialist regional president of Puglia; Laura Boldrini, the current president of the Chamber of Deputies; and Stefano Fassina, a former Renzi critic and PD dissident. The group, advised by economist Joseph Stiglitz, positions itself similarly to Greece’s SYRIZA or Spain’s Podemos. The Italian left’s fracture comes at a time when the Democratic Party was already struggling to maintain a lead over the Five Star Movement. Begun as a protest by comedian Beppe Grillo, the Five Stars won nearly a quarter of the vote in the 2013 elections and has convinced voters in some Italian cities to give it a chance at local government. Last year, Virginia Raggi, an attorney running for the Five Star Movement, was elected mayor of Rome, the Italian capital, by an electorate weary of municipal corruption. Unfortunately for Raggi, her tenure as mayor has been stormy. Raggi’s top aide was arrested for corruption last December, and voters believe Raggi’s government is even worse than the traditional right-wing and left-wing administrations that have preceded it. After voters firmly rejected Renzi’s constitutional changes, which would have reduced the Senate’s size, power and importance, the Italian constitutional court partially declared unconstitutional parts of the related 2015 electoral law (known as the ‘Italicum’) in January. That leaves in place a system of proportional representation for both houses of the Italian parliament, though the court left in place a ‘winner’s bonus’ that guarantees a majority in the lower house to any party that wins over 40% of the vote. Though Renzi was initially pushing for early elections, possibly as soon as this summer, the internal Democratic Party contest will likely postpone any early elections. The timing of the next elections lies chiefly with Gentiloni, a Renzi ally, but the final decision belongs to Italy’s president, Sergio Mattarella. If the divisions continue into the next general election, it would represent the greatest crisis for the Democratic Party, structurally speaking, since its 2007 formation, and the split revives a long-running divide between two distinct traditions that have historically struggled to unite since the end of the Cold War and the collapse of Italy’s old Christian Democrat-dominated political elite in the early 1990s. The first tradition is rooted in the Catholic-inflected center-left, captured by what was known in the late 1990s and the early 2000s as the Olive Tree coalition (L’Ulivo), and its leading members were refugees who matured as part of the Christian democratic, centrist and ‘socialist’ governments that controlled Italy in the 1970s and 1980s — officials like former prime minister Romano Prodi. The second tradition is rooted in Italian communism and, in particular, the left-wing partisans who fought to eradicate fascism in the civil war that unfolded during and immediately after World War II. Italian communists trudged through four decades of Cold War as a principled and thoughtful opposition, though never trusted enough by Italian voters (or US or western European leaders) to take power. After the Cold War, the Italian communists rebranded as the ‘Democrats of the Left’ as a movement distinct from the Prodi-led Olive coalition. Its leaders were much more hard-left in their policy views and far closer to the labor unions and other civil society movements associated with the Italian left through the ‘first republic’ years — officials like D’Alema. Renzi struggled as prime minister to enact reforms to liberalize the Italian economy and boost growth, which has remained stagnant (or worse) since the 1990s, and employment, which has remained depressed since the 2008-09 financial crisis and 2010 eurozone debt crisis. Renzi’s early optimistic promises on everything from tax reform to public sector reform gave way to only tepid changes in labor regulations, as Renzi spent years pushing the electoral and constitutional reforms that have now been rejected by both courts and voters. It’s essentially been a decade since any Italian prime minister has been able to claim a popular mandate, when Silvio Berlusconi won the 2008 national elections. His resignation in 2011 paved the way for a technocratic government headed by the unelected former European commissioner Mario Monti. Though the Bersani-led Democrats narrowly won the 2013 elections, no party emerged with a Senate majority, forcing Bersani to step aside for the little-known Letta. After taking power in February 2014, moreover, Renzi refused to call snap elections (which the Democratic Party would have easily won), though his party notched a resounding victory in the European parliamentary elections later that spring.